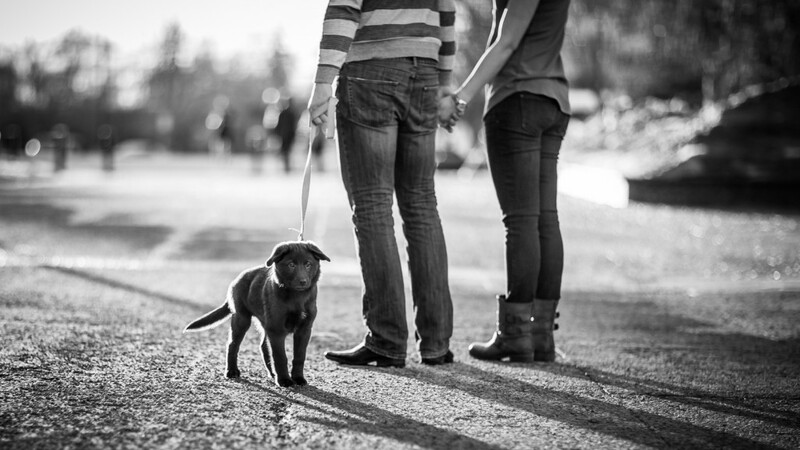 Krisitin and Wyatt brought their new puppy Zoe along for their spring engagement session at the Alberta Legislature grounds. It was a lovely evening for engagement pictures with your dog! 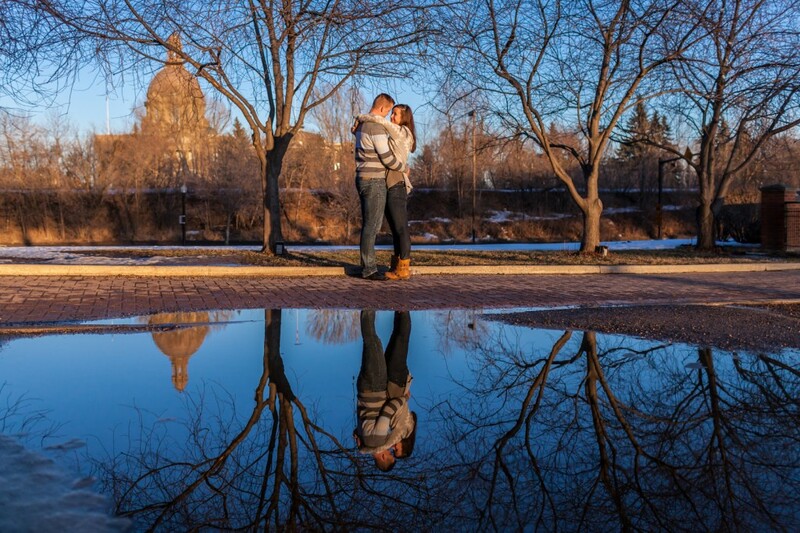 It was a sunny spring evening, perfect for some romantic outdoor photos in the park. Zoe had a blast exploring the grounds, snuggling with her owners and giving puppy kisses. If you have a fur baby and are getting married we highly recommend getting engagement pictures with your dog! We started at the Legislature grounds with a family walk around the park. Zoe had a blast exploring the park and playing in the puddles. She was a brand new puppy and needed some guidance, but did surprisingly well! From there we headed to Ezio Faraone Park across the street to catch the sunset. This beautiful spot over looks the Edmonton river valley and offers a clear view to the west. 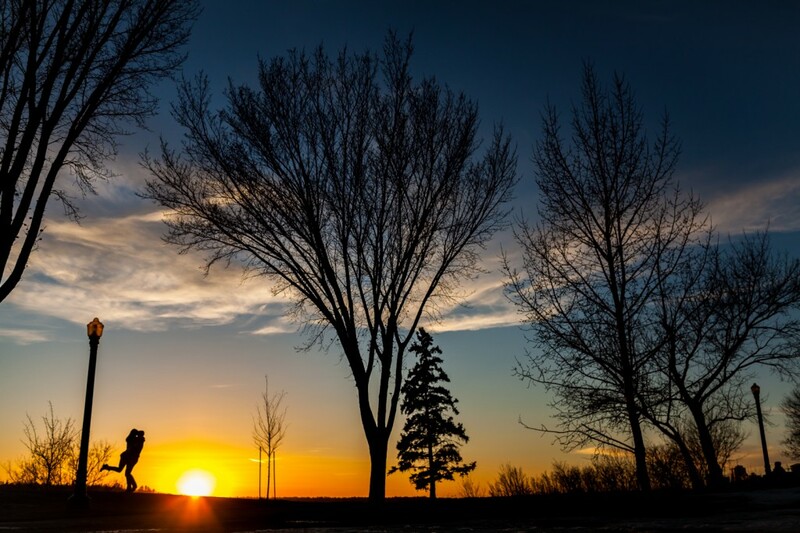 It is one of our favourite locations to watch the sunset in Edmonton. 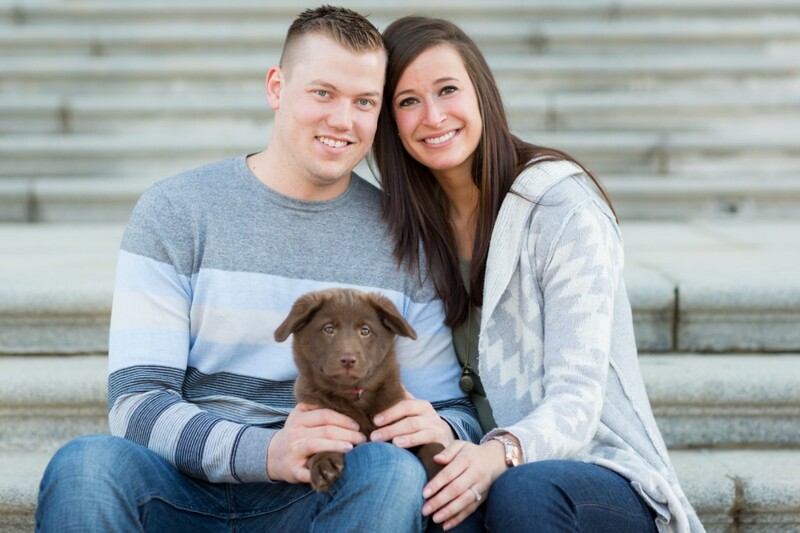 We had a great evening exploring the park and spending time with this super sweet couple and their adorable puppy. Thank you Kristin and Wyatt for a wonderful evening, we can’t wait for your wedding this summer at St Joseph’s Basilica in Edmonton and the Woodvale Community League! It is tough when your venues do not allow for dogs to be part of your wedding ceremony, this is why we encourage all of our couples to include their pets as part of their family or engagement session. 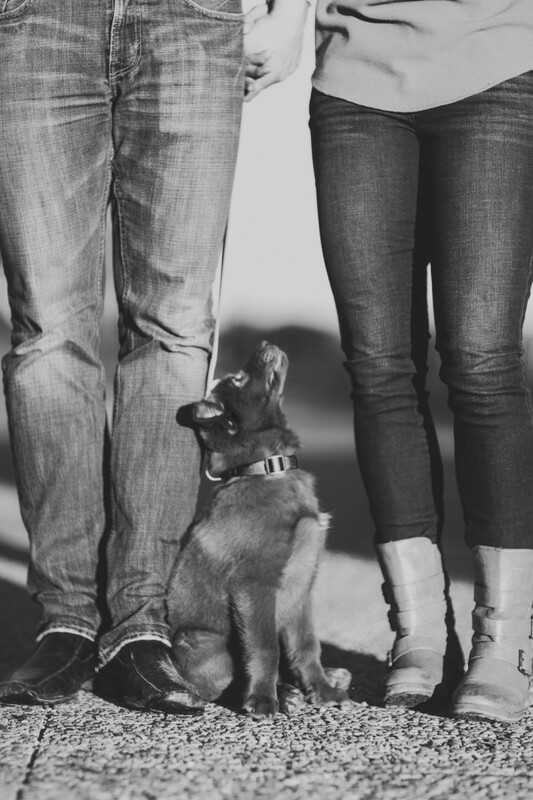 We know how close couples can be with their pets, they are full-fledged members of the family, and we are all about capturing what is important to you! 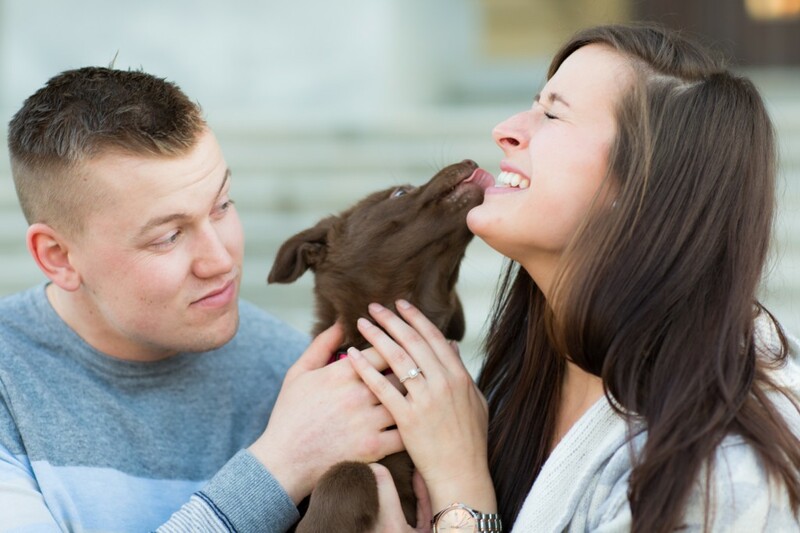 If you are planning on taking engagement pictures with your dog but are unsure how well it would work, drop us a line and we can give you some pointers. 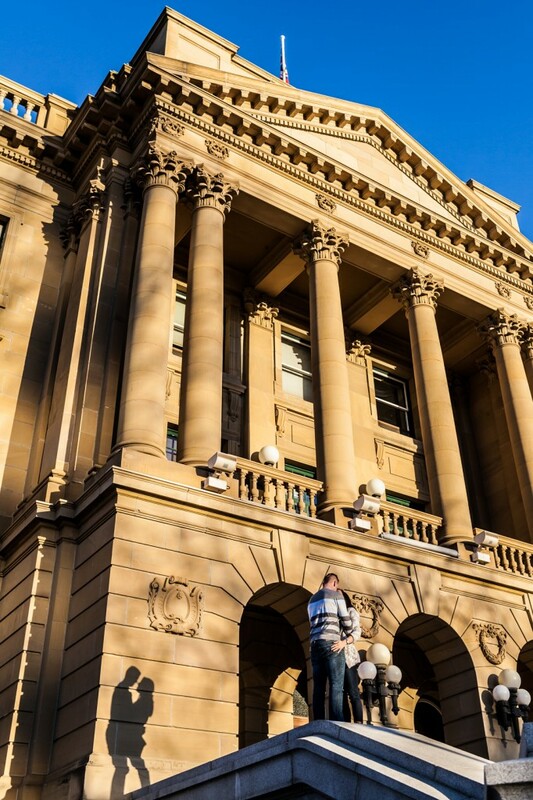 You can also check our guide for preparing for your engagement photos. 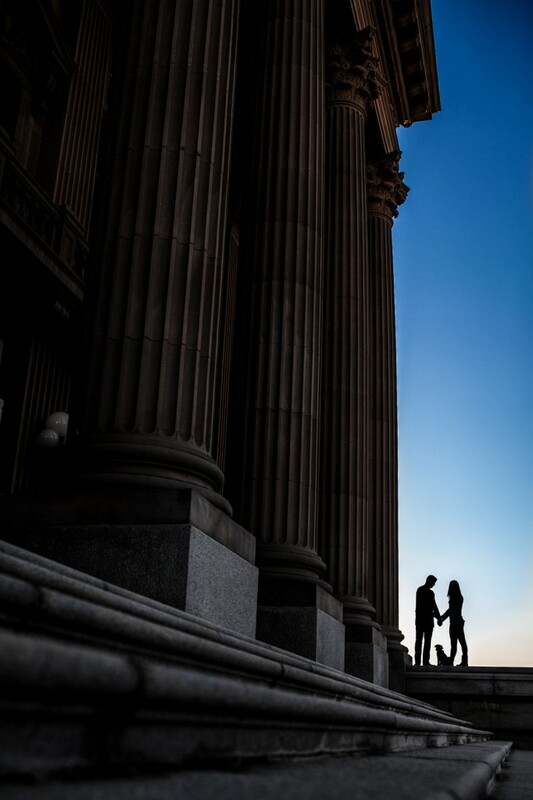 It may help shed some light on what to expect for your engagement session.